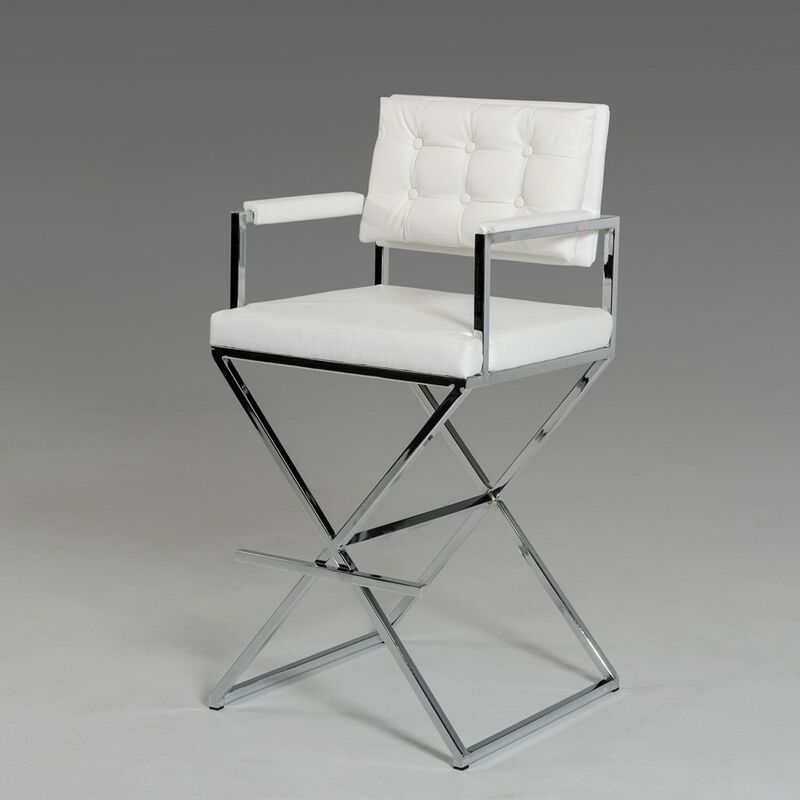 The Modrest 4048B modern white leatherette bar stool offers a touch of grace featuring tall sleek X-shaped chromed legs. Upholstered in dainty white leatherette, this modern white bar stool features buttoned tufts on the backrest. The right angled padded armrests and footrest provide ease and convenience, preventing arms and legs to dangle.W21" x D23" x H43" Arm Height: 37" Seat Height: 30"